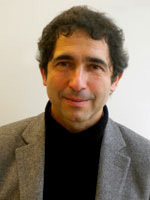 Carlos Mataix is an Associate Professor in Industrial Organization and Management Science at the “Universidad Politécnica de Madrid”. UPM is the largest technical university in Spain, where he is involved research management and teaching. Carlos is an Industrial Engineer and obtained his PhD in Industrial Management and Logistics in 1992. In 1995 he became Associate Professor. Between 1994 and 2004 his main research work focused on railway transport logistics, having participated in diverse European Projects of different Framework Programs related with the revitalization and sustainability of rail transport in Europe. Carlos is best known for his work in the world of international cooperation for development. He was co-founder of the “Spanish Association of Engineers without Borders”, and was named vice-president of the “Spanish Platform of NGOs for Development”. In 2008 he was appointed as Director Assistant of the “Spanish Agency for International Cooperation for Development” that belongs to the Ministry of Foreign Affairs. There, he launched the “Planning and Quality of Aid Unit”. In 2010 he returned to the University, and was named “expert” of the “Spanish Council of International Cooperation for Development” (he currently belongs to this institution). In 2008 he participated in the launching of the “Sustainable Organizations Research Group” of UPM. This is a group specialized in Corporate Social Responsibility (CSR) that collaborates with public and private organizations. He is responsible for the research line on “Business for Development”. Carlos is the author of numerous publications (books and articles) for development practitioners in Spain and Latin-American countries. He is frequently invited as speaker to conferences and events related with cooperation and human development. He has also published several articles in research journals such as Transport Research, Quality Management and Project Management. He belongs to the scientific committee of several international conferences and to the editorial board of several journals, and has supervised six doctoral thesis, some of which have obtained different awards, and a high number of MBA students final works. He has been lecturing, since 1992, courses in operations research, production management, and decision theory, at both the undergraduate (engineering students) and graduate level (MBA and PhD). He is one of the coordinators of the MBA in Technologies for Human Development at the UPM. Carlos has been visiting professor in different universities in Norway, Brasil and Mexico, and has participated in different internationals programs in Tanzania, Ethiopia and Nicaragua.